Today I have a review on the Viseart Petit Pro Palette. I think most everyone in the beauty community has heard about Viseart eyeshadows; this is a range of French eyeshadows that were primarily targeted towards makeup artists/professionals before being thrust into the consumer spotlight after launching on Sephora. I've mentioned the brand before, almost consistently every time I went to The Makeup Show LA but I never splurged on one of the palettes despite how well loved they were by the professional community. However, the launch of the Petit Pro Palette (and its $30 price tag) was much more palatable and I decided to pick this up. 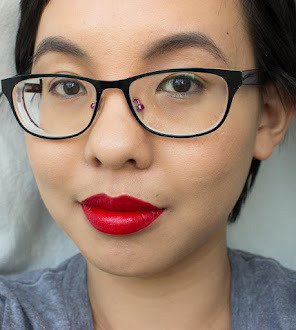 Click through to read my review and see swatches! Viseart says "The Petit Pro Palette is an 8 pan eyeshadow palette that contains flawlessly blendable color. 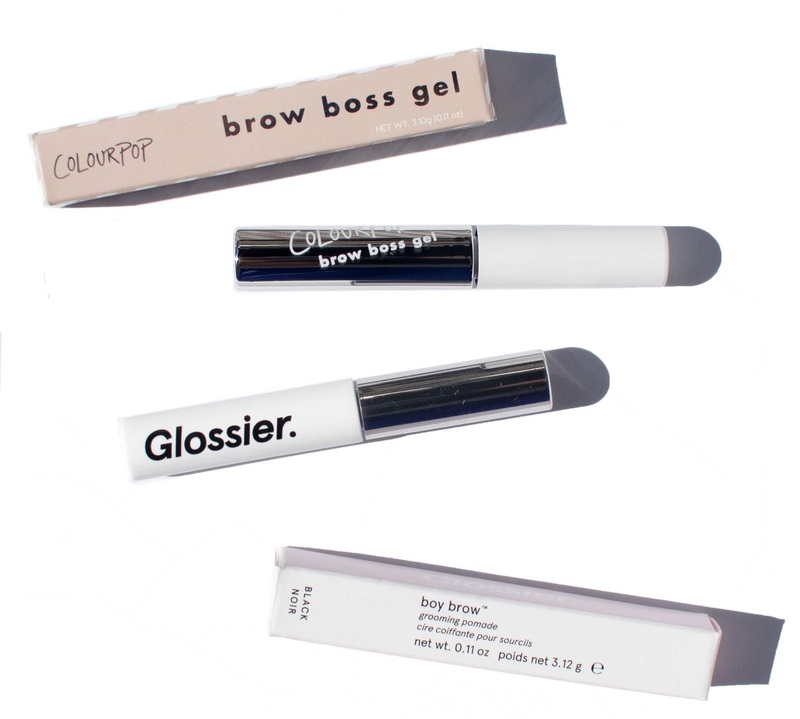 These eyeshadows are in smaller "Petit PRO" packaging ideal for artists or makeup lovers on the go. This palette contains versatile pigment and rich colors in both matte and shimmer textures, curated from our heritage Parisian formulas to create stunning day to evening looks." 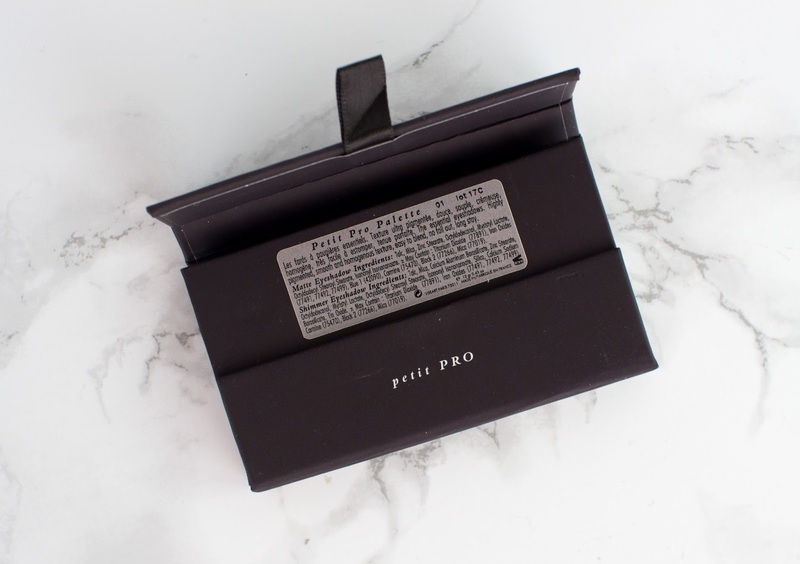 The Petit Pro Palette ($30.00, available at Sephora and Musebeauty) is a miniature version of their usual $80.00 palettes; whereas the original palettes contain .84 oz/24 grams of product, the Petit Pro Palette contains .28/8 grams of product total. I have seen a few discrepancies online where other reviews say it only contains 5.84 grams but it definitely says 8 grams on the packaging. 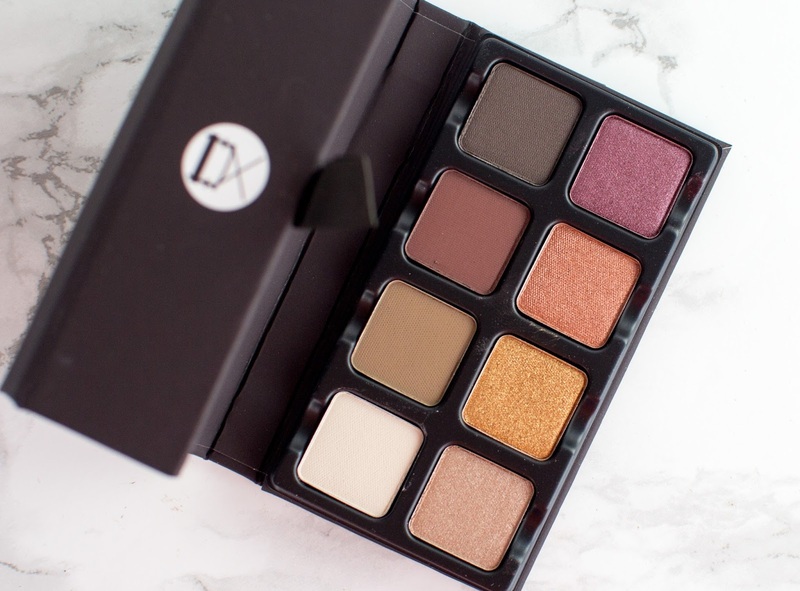 The palette contains four matte and four shimmer eyeshadows. From left to right, the mattes are Vellum, Tawny, Merlot, and Cappuccino. From left to right, the shimmer shades are Starlight, Medallion, Copper, and Scarlet. I think this palette was originally limited edition and had no shade names but the box for my palette gives each shade a name. Something to note, these eyeshadows contain Talc. Personally, I don't have an issue with this but I know others do want to avoid talc in their makeup so just a head's up. I find the packaging to be quite interesting because it is quite compact while at the same time fussy because it doesn't merely open and close. You have to "unfold it" to open the palette up (each step shown below), but thankfully despite its small size it still manages to have a decent mirror included. Viseart gets the most love for their matte eyeshadows so I had a lot of expectations when it came to the palette. Unfortunately for my wallet, I can understand why so many people enjoy Viseart eyeshadows. The matte eyeshadows are pigmented, pick up on a brush well without kicking up a ton of powder, and apply quite smoothly on the eyelid. What I found most interesting was that these blend out really well, like a little goes a long way and you can blend it out into nothingness. I'm sure it sounds weird to say they're spreadable but I'm not sure how else to describe its blendability. 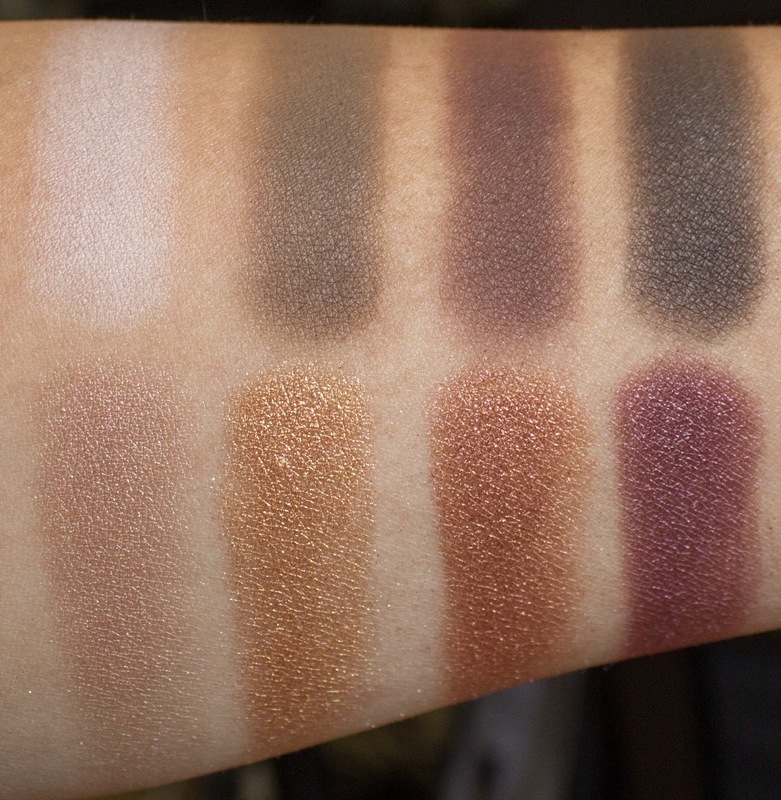 What makes this different from other matte eyeshadows is the fact that I think other formulas rely on having a softer eyeshadow formula that picks up a lot more product on the brush (while also kicking up more product). In doing so, the eyeshadow looks very pigmented when applied but can be a pain to blend out the color because there's too much product in one spot already. In contrast, the Viseart matte eyeshadows are pigmented and smooth without being too soft so you still get the color and blendability without needing to tap your brush off. I also had no difficulty with its wear time. The shimmer eyeshadows are nothing to sneeze at either, also smooth and pigmented without too much fallout. I go into more detail with each shade below. When it comes to the mattes, Vellum is a light bone shade, Tawny is a brown that leans more olive on my skintone, Merlot is a reddy brown, and Cappuccino is a cool toned dark brown. Of the four, the one I don't think I'll get as much use out of is Vellum. Vellum is quite light so it doesn't all that good on my skintone in my opinion; it isn't actually chalky but the color just ends up looking that way in contrast. When it comes to the shimmers, Starlight is a light beige, Medallion is an orangey gold bronze, Copper is an orangey copper, and Scarlet is a deep purple. Medallion and Copper and the most metallic looking of the bunch. Scarlet is more shimmery than metallic and Starlight has more sparkle in it so it doesn't look quite as pigmented compared to the other shimmers. I do have a con when it comes to the palette (though it's more due to personal taste), and it's that I don't see myself using all of the shades together in w look. For me, I like the palette much better for its individual colors as opposed to trying to use all of them together for one look. You can hopefully get a better sense for how the colors look together in the swatches. I swatched the eyeshadows dry over eyeshadow primer. The photos were taken in indirect natural daylight. 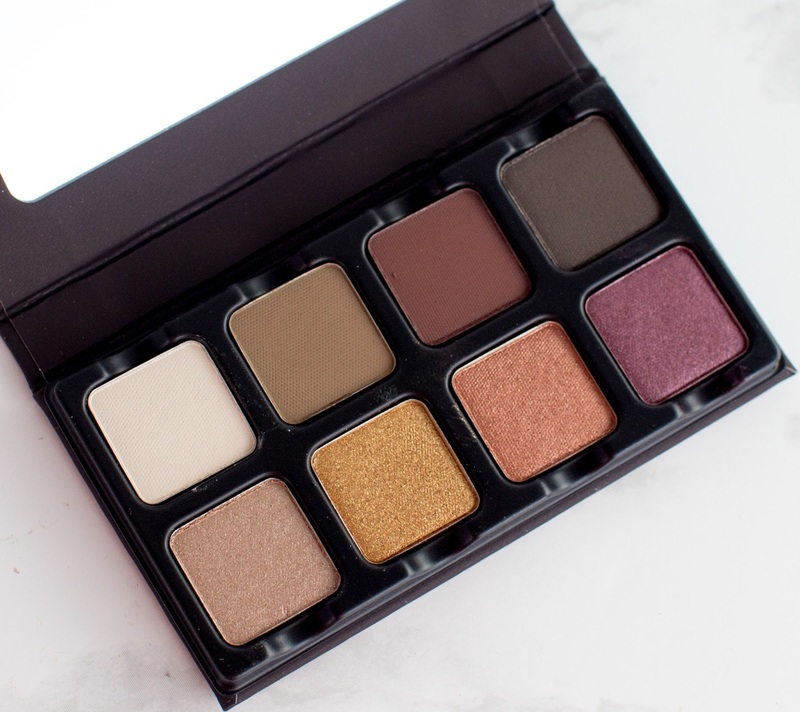 If you're interested in trying out Viseart eyeshadows but find yourself hesitant to spend $80.00 in one go, the Petit Pro Palette is an excellent way of dipping your toes into the brand and getting a feel for the eyeshadows. The formula is excellent and contrasts itself from other brands by balancing the pigmentation with its ability to blend itself out. It's also only $30.00 I for one am eyeing the Neutral Mattes or Warm Mattes palette. Do you own any Viseart palettes? If so, which ones do you like? If not, would you want to try any? Disclaimer: I purchased the palette with credit given to me by Sephora for attending a Sephora Grand Opening. All opinions are my own. I was not compensated for this review. There are affiliate links in this post, which give me a commission based off your use of the link when making a purchase. I have 2 of the full size ones and I LOVE them! I'm waiting for a sale so I can grab some more!! I'm like you and have a hard time coughing up $80 for a regular palette. I really the shimmers in this one and the price tag is one I can live with. I splurged in a Viseart Neutral Matte palette during a VIB sale and I'm so happy that I did. The shadows are unmatched. Now, I need a shimmer palette to go with it. Hmmm... Bridal Satin or Paris Nudes? I do like that this one is more affordable. It would be fine with me if they made more of these, but I wouldn't trade my bigger neutral matte for anything. These shades are so pretty. I haven't tried anything from Viseart yet. 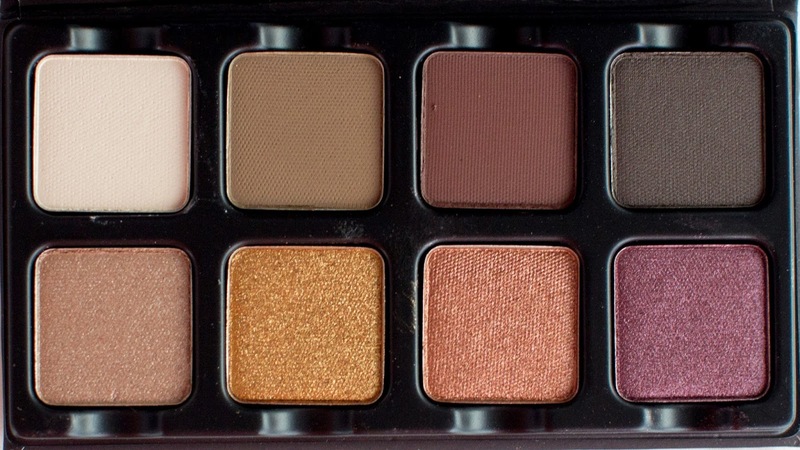 I adore the shades in this palette! UGH they are so gorgeous and even and pigmented... LOVE! I love this little palette, it's the perfect intro to the brand. And like you said, not everyone has the budget to buy the $80 palette. I couldn't get myself to drop the cash on a palette anymore, but I like the colors of this one a lot. That is a great price point! I love their full palettes and have two, but the price has prevented me from buying more.